Well, they took their sweet time but I've finally got the rest of my summer perennials blooming! (Jenni is doing a little happy dance as she types this). It appears I've got my ray of sunshine blooming in my cottage gardens. The long awaited Rudbeckia's are giving us happy bursts of yellow in the perennial beds. I have one of three Dahlia's blooming and thankfully, it's my favorite of the bunch. The original blooms last month started out much more coral and it reminds me of the sunset over the pacific ocean. This pic shows the next wave of blooms in a lighter color wave. 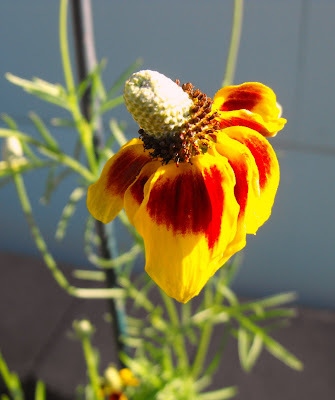 Ratibida 'Red Mexican Hat' I'm just gonna pretend it looks like a Mexican hat. 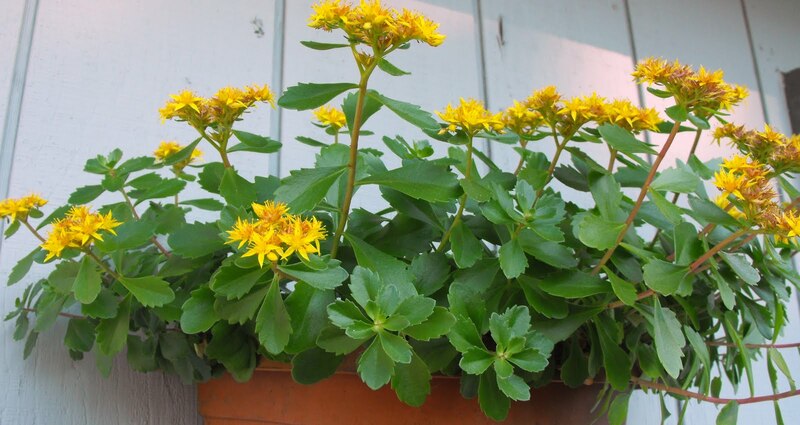 I also got some Eyrngium, but no silvery blue spikey blooms yet. Next is a new Coreoposis. A new sedium I purchased from an online nursery is taking off with gusto! A few herbs are blooming. 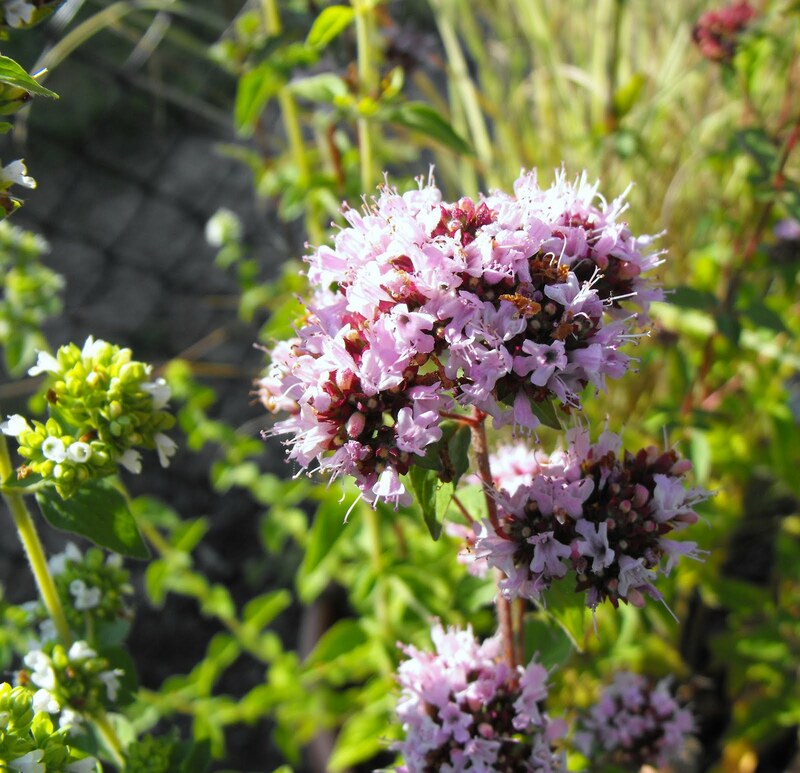 The oregano was the prettiest one blooming. It has both white and lavender blooms, smell divine. The lemon balm is also blooming, but the flowers are so tiny that my camera was not catching them well. After all the stress and worry of the past week with my husband in the hospital, taking this stroll around the gardens to share this week was a welcome distraction. I tried different settings on my camera as I hope to learn to take better photographs with it and it was wonderful to smell the sweet lavender and hear the honey bee's busily buzzing around. I could have sat in the morning sunlight longer, but as many of you well know, those soft, quiet moments in the garden feel too short most of the time. Life marches on. As a side note, husband's prognosis is looking better. He will likely be in the hospital another week. I'm amazed at the mending of the human body. Thanks to the many of you leaving very kind comments on my earlier posts. I hope you'll swing by Tootsie's blog to see who else is flaunting their flowers today. It's a wonderful way to get introduced to a lot of other garden blogs out there in cyber land. 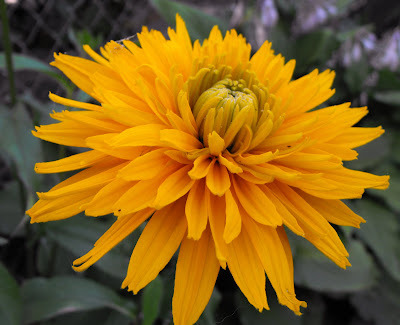 Jenni, the rudbekia are wonderful. 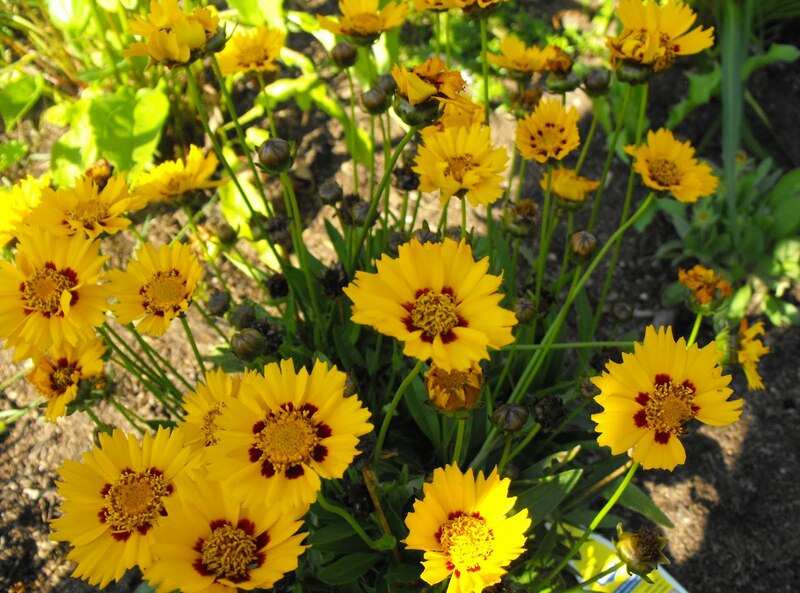 I didn't realize there were so many kinds until I started reading garden blogs. Summer really is in full bloom now, isn't it? Dear Jenni ~ Your late summer blooms are wonderful and very cheerful looking. Our gardens do calm us down when things are stressful. I am so glad to hear that your husband is doing so much better. May he continue to heal. I know he must be looking forward to being back home, where he will heal even faster among his loving family and familiar surroundings. I always keep Oregano in pots and never have they bloomed.. Greek, Itl, and other kinds? Yours look wonderful! All your flowers are gorgeous! We visited Oregon once and loved the climate, we live in hot & dry Texas. Especially hot this summer. Hey, I'm your newest follower and would love for you to follow me. Have a wonderful day and hope your hubby keeps improving! 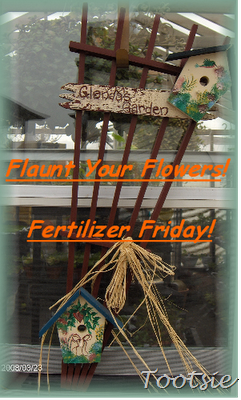 I am still looking forward to seeing my rudbeckias flower, and my echinacea too. Yours are very pretty, especially that one called Maya. I'll have to see if I can find that one. 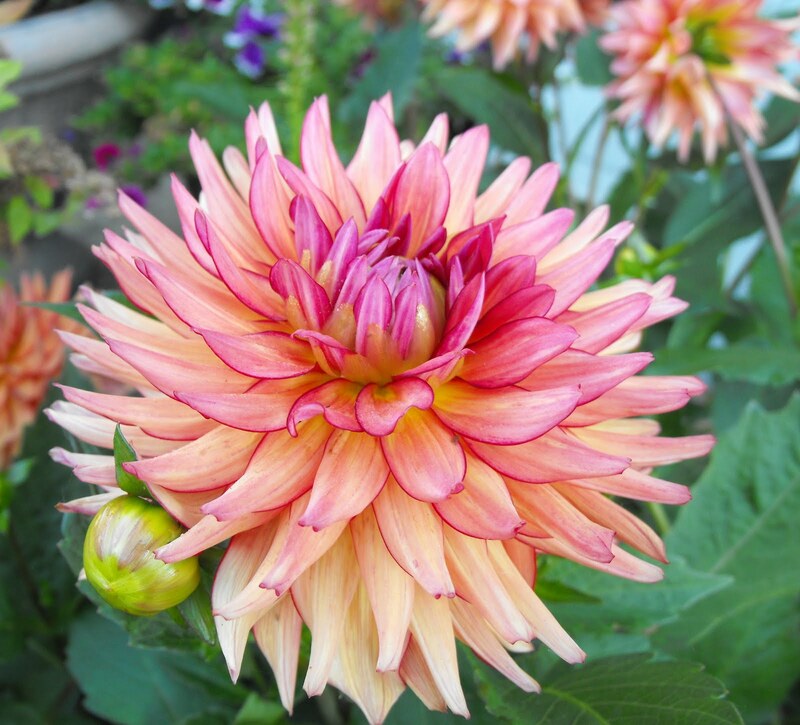 Your Dahlia is gorgeous too! Love the rudbekias, mine are blooming too. I used to have a Mexican hat plant but lost it a couple of year ago over the winter. Yours looks wonderful and makes me want to look for another one. Glad your husband is getting better. I hope he's home soon. Your garden is looking beautiful. I love your new 'Maya', I haven't seen a rudbeckia like it before. It's amazing how therapeutic the garden can be. Jenni, wonderful to meet you through FF. 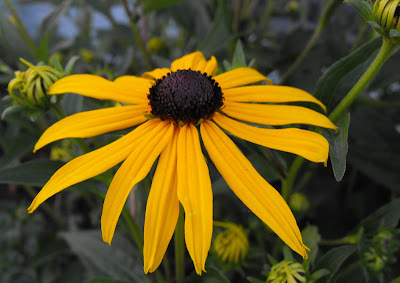 Love the rudbeckias, I have had Maya in the past and found it to be a gorgeous asset to the garden. That is an amazing sedum, too, and the dahlia...wow. I'm sorry to hear about your husband's health problems and hope all goes well, glad to hear he's on the mend! I'm glad your hubby is doing better. Your August blooms are beautiful. In spite of how pretty your flowers are this week...I am going to focus on how wonderful your online family is for prayer and support when something goes wrong...I do hope your hubby is well...and I am so sorry for not making it here sooner to offer my support! It does my heart good to tour around the gardens that are linked into my little party...I so wish every one of the people who share lived close enough that I could walk the gardens in person. Thank you so much for sharing with me this week...I hope you will again very soon! Hugs and smiles from Alberta Canada to you!